The International Frontier Film Festival has now become a cult, and leads the way to the peak tourist season in Marzamemi. Every year in late July, the Frontier Film Festival, now considered one of the main events of the Sicilian summer, turns Piazza Regina Margherita in Marzamemi into the largest and southernmost open air movie theater in Europe. In a friendly and familiar atmosphere, always strongly encouraged by the organizers, with the participation of well known and less known actors and filmmakers, this is a great film festival in all respects. However, the movies presented at the festival are far from being blockbuster films. 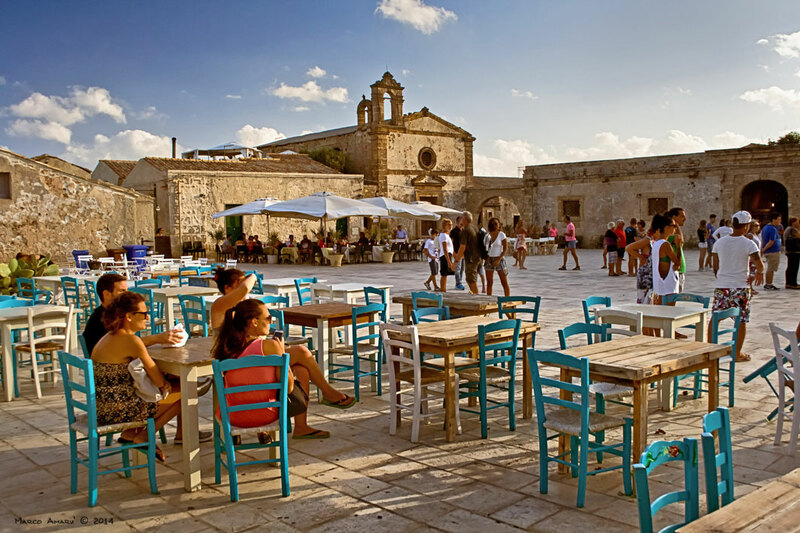 Once again, the Film Festival will take place in the stunning natural scenery of the seaside village of Marzamemi, where three movie screens will be set up on the Piazza, in the Tonnara and in the courtyard of Palazzo Villadorata.